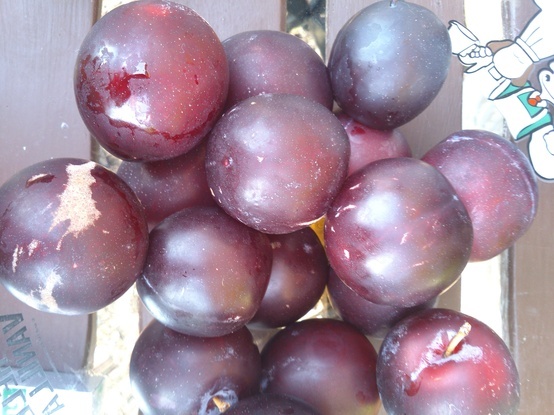 Do not peel plums but remember to wash them carefully. Throw cut in half plums (without seeds) into the pan with a thick bottom. Sprinkle bootom of the pan with water. Cook plums for about 4 hours on low heat. 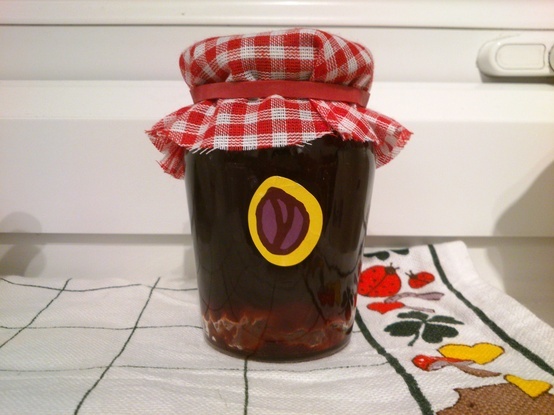 Remember to stir your jam frequently. Don’t let plums stick to the bottom of the pan (you can add another splash of water to prevent this ). After 4 hours, add sugar, cocoa and chocolate cubes. Stir vigorously. Cook for another hour. Prepare mason jars: You can put jars into the oven for few minutes ( heat the oven to 100 degrees, do not let jars touch each other) or clean them with boiling water ( remember to dry them thoroughly ).Clean lids with boiling water and dry them with paper towels. Put jam into the jars. Leave some empty space between the level of food and the top of the jar. Clean rims and threads of jars using clean, damp cloth. Screw all the lids tight and flip jars upside down. Allow content to cool. Remember to check the dimple on the lid after 2 hrs: properly sealed, will not make any sound!